Tangent Online: "... a cosmic love story that gives a mythic take on the physics of the universe. The story reminded me of the opening chapter of Tolkien’s Silmarillion except in reverse. Creative and visually imaginative, this one will stay in your head for a while." Emerald City issue #111: "I’ve been very impressed with issue #1 of Aeon... I suspect that Aeon may represent a first sight of the future of SF magazines." The Agony Column (11/11/04): "It must be said that Aeon is off to a mind-boggling start. With the first issue, you get short stories by Stephen Boyett (a reprint), Gordon Gross (actually the writing team of Eve Gordon and Harold Gross), Jay Lake, and Gene Wolfe, a short novel by Walter Jon Williams, 'Logs', that's an excerpt from the forthcoming capstone to his 'Dread Empire's Fall' trilogy, a column by Kristine Kathryn Rusch, and a novelette by British superstar author John Meaney. That's a stellar lineup by any evaluation. Editors Marti McKenna and Bridget McKenna have brought together a top-rate collection of writers for this electronic launch. " 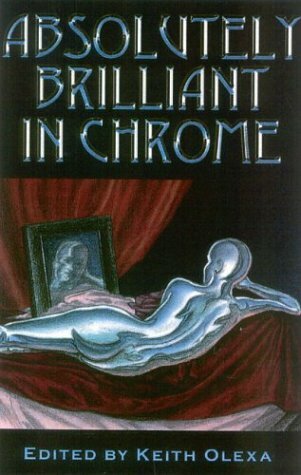 We appear along with such luminaries as Gene Wolfe, Walter Jon Williams, John Meaney. Sure we're tickled! A Meeting of Minds, by Gordon Gross (the name of the writing team Harold Gross and Eve Gordon), will blow the minds of its readers with its stylish fusion of artificial intelligence and cryogenics. When the too-aptly named Jaron Frieze awakens from a thirty-year stint in a freezer following a fatal car crash, he finds that everything in the world ­ his marriage, the laws regarding identity and ownership, and even himself ­ are no longer what they once were, and nothing like what he would have imagined. Can he assert his rights as the original Jaron Frieze when there's another, computer simulated, version of himself already in possession of his legal identity? The authors weave a vexing and flamboyant Gordian Knot, only to slice right through it with a genius twist. So, who are we to argue? and at booksellers near you. Also still available is a limited number of the co-authored (with Eve Gordon) Out of Warranty, that appeared in Analog (Double issue, 1999) available for $6 signed and shipped if you're attempting to create a full collection! Send us the request.